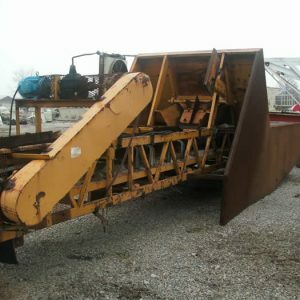 10’ x 12’ truck dump hopper w/ grizzly. 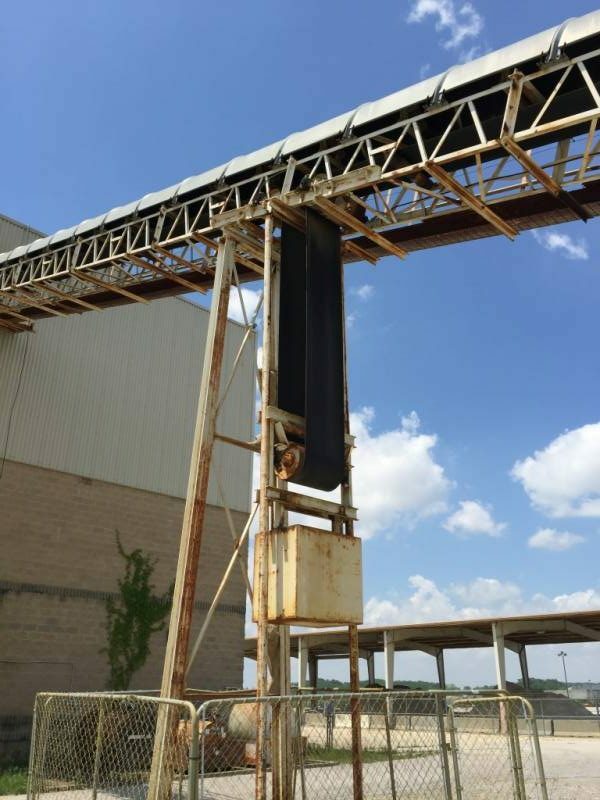 24” x 160’ (24” truss frame) bin-feed conveyor w/ walkway w/ handrail, gravity take-up, supports, belt cover, and electric motor. 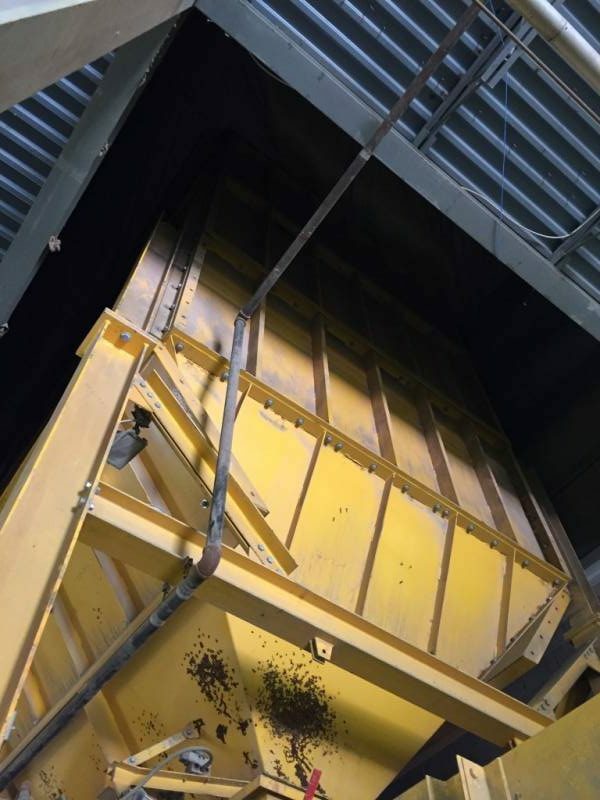 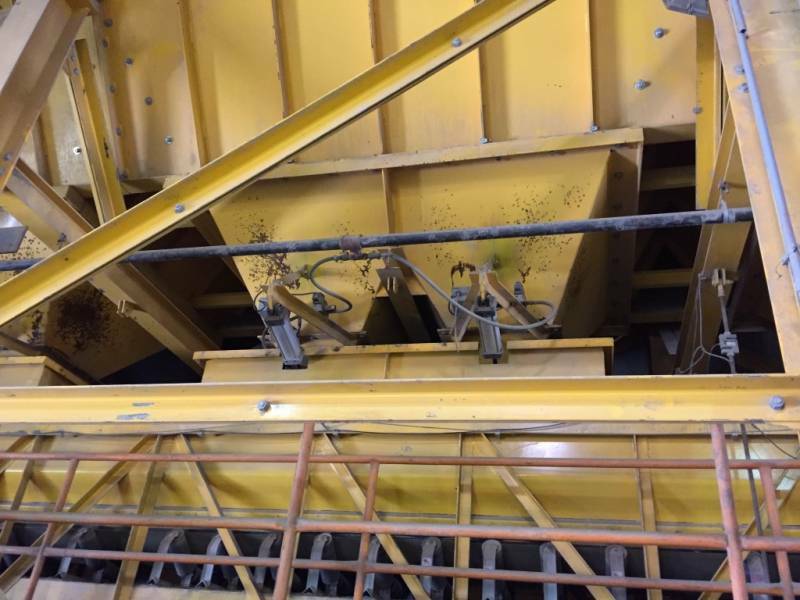 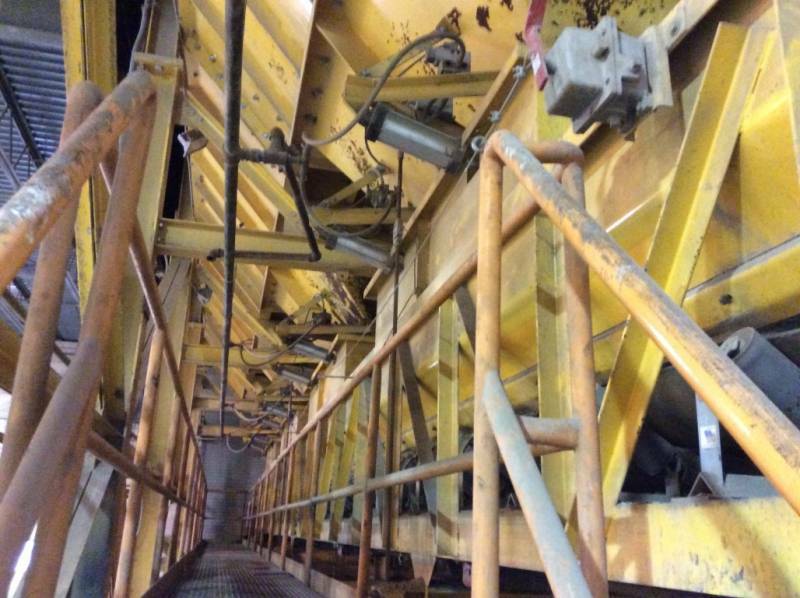 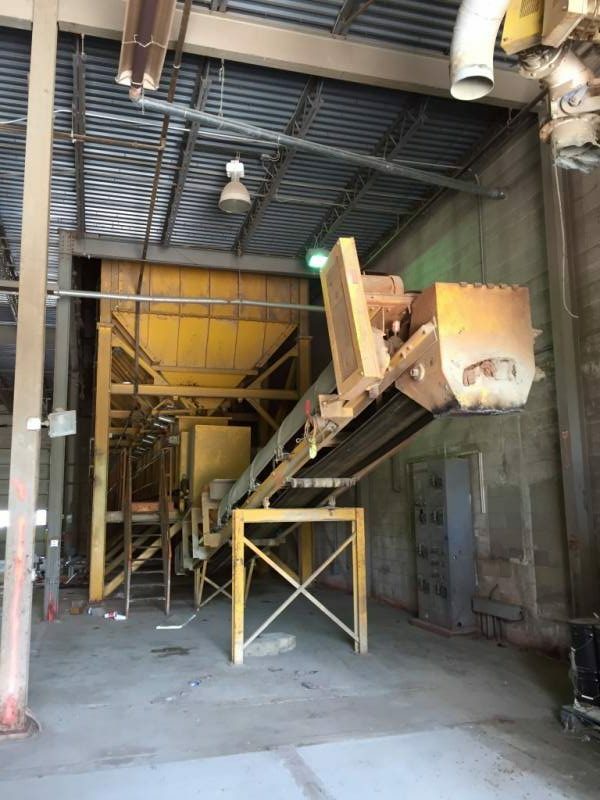 30” x 65’ under-bin conveyor w/ electric motor, Rice Lake Weigh System, and (4) receiving hoppers. 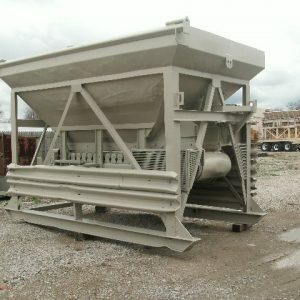 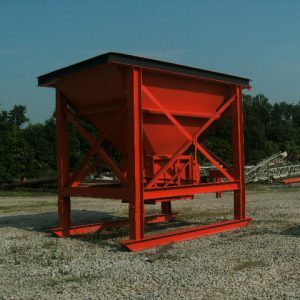 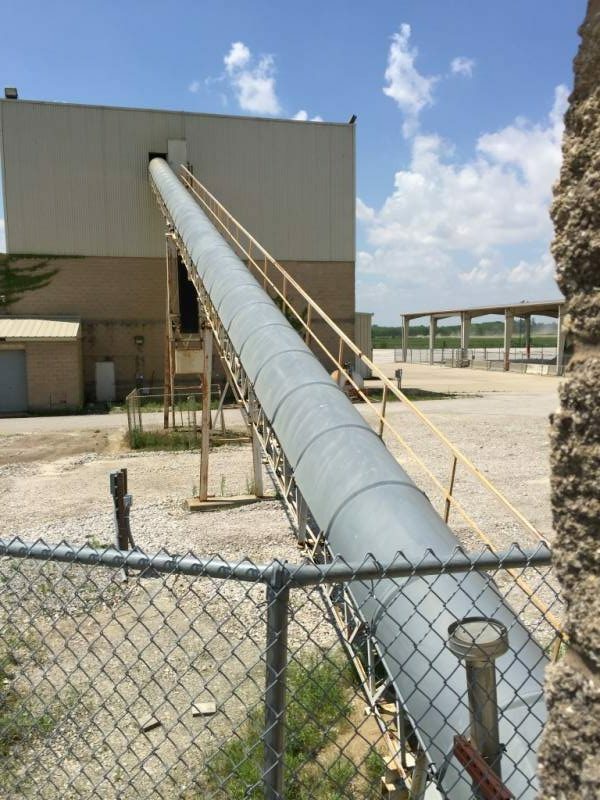 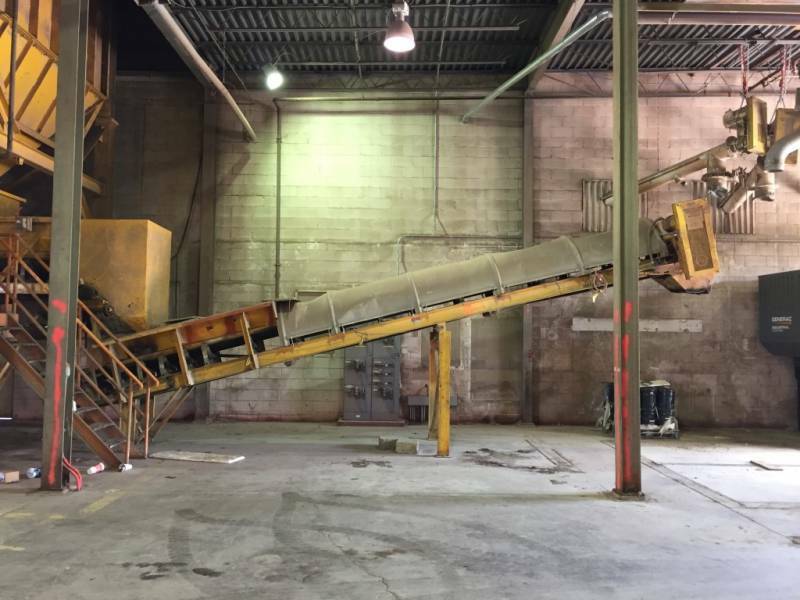 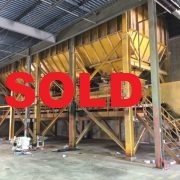 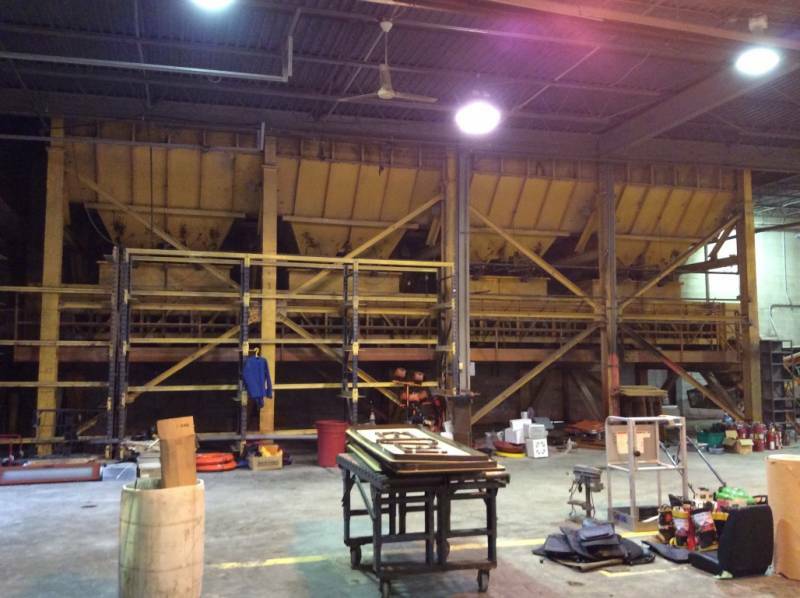 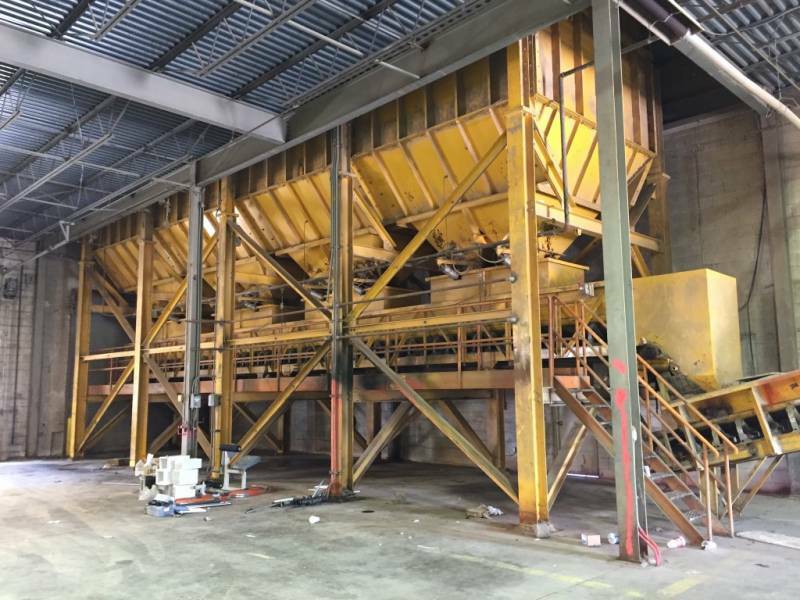 24” x 30’ channel frame transfer conveyor w/ receiving hopper, electric motor, and supports. 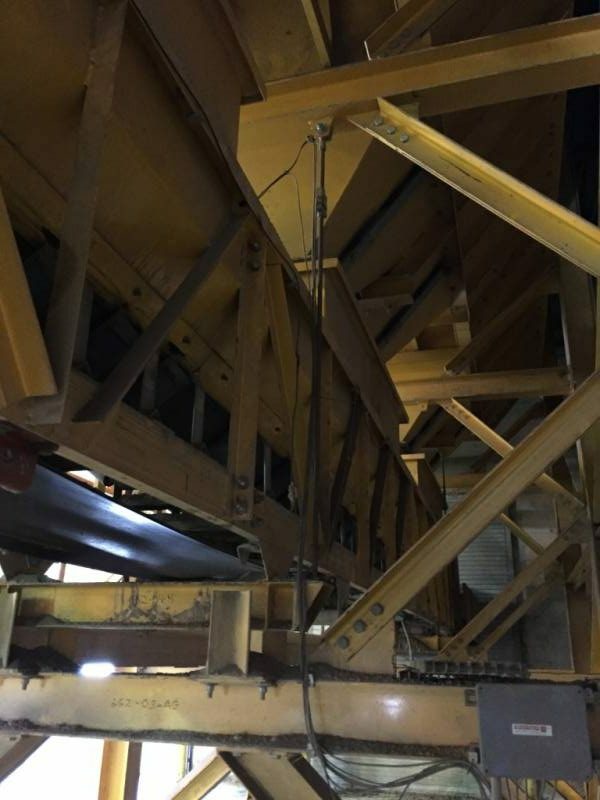 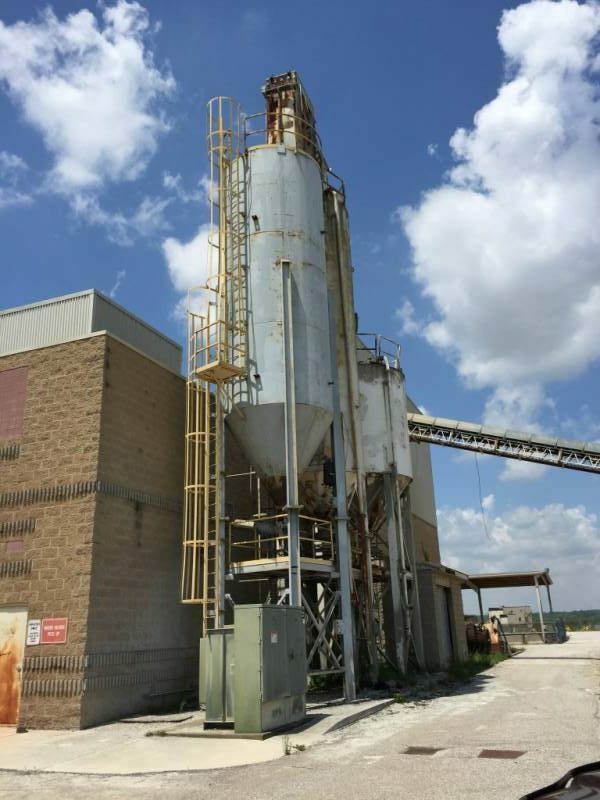 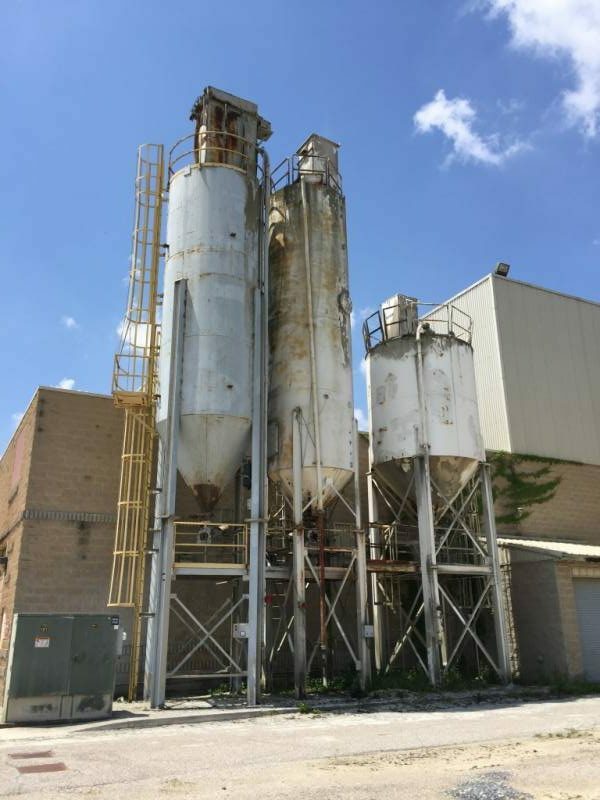 (2) 60-ton cement silos w/ discharge auger. 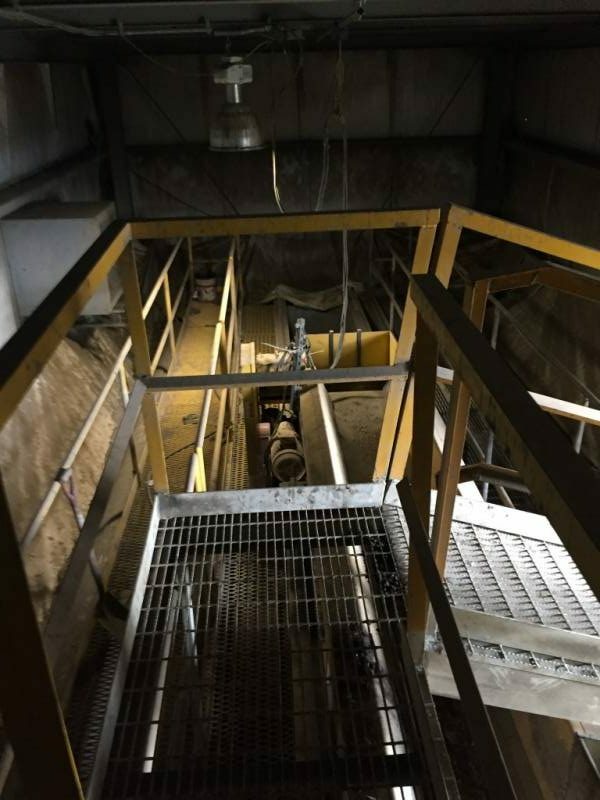 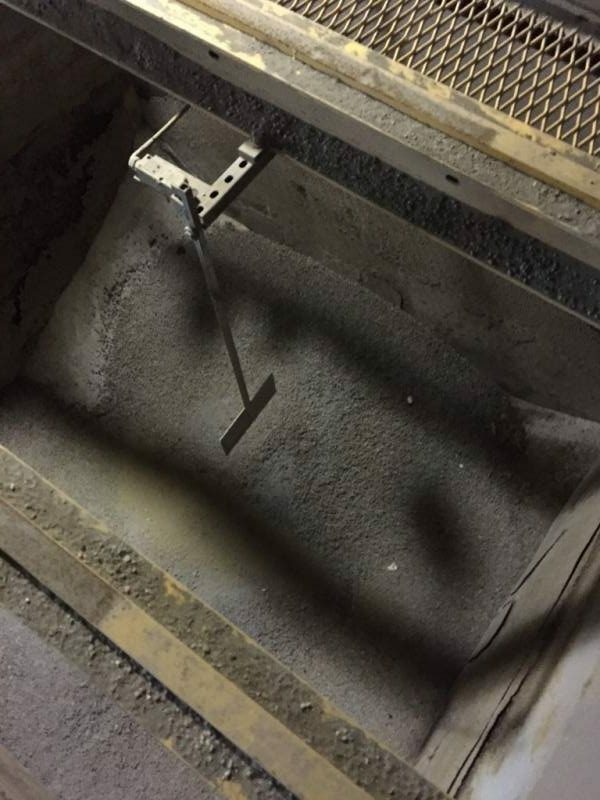 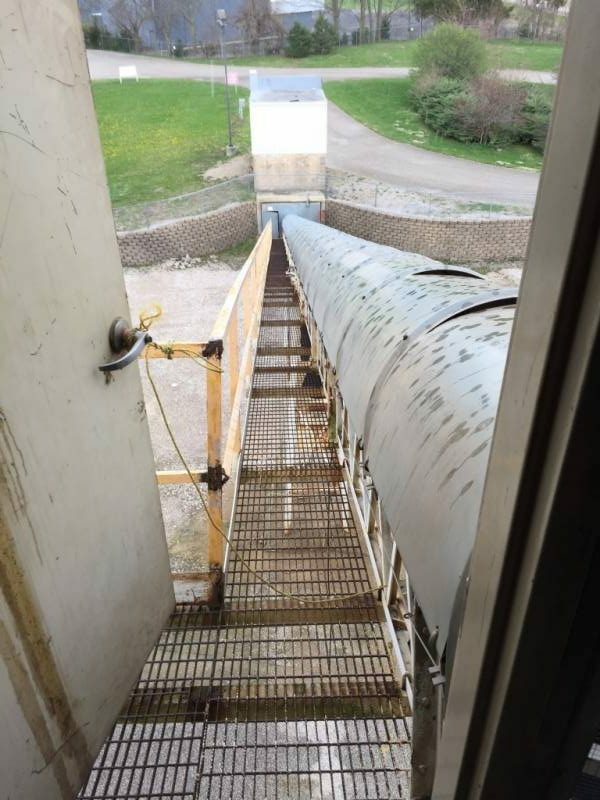 (1) 40-ton cement silo w/ discharge auger. 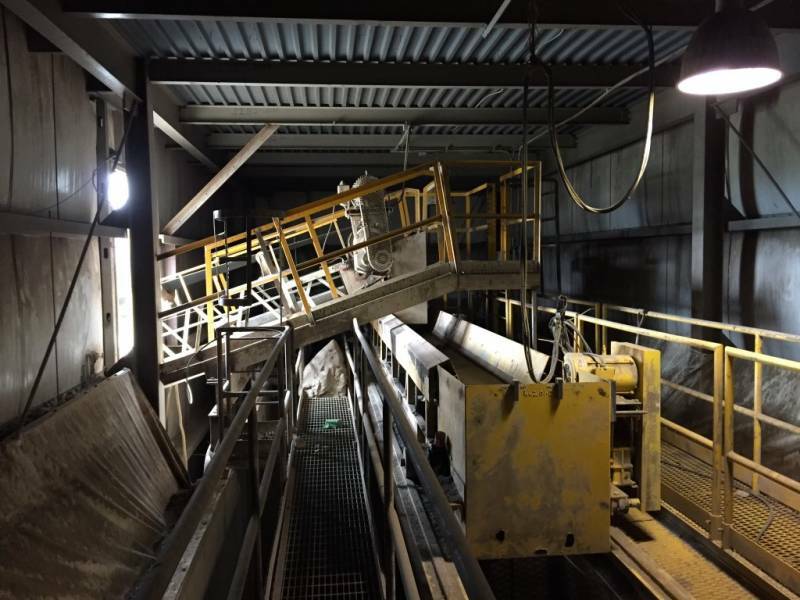 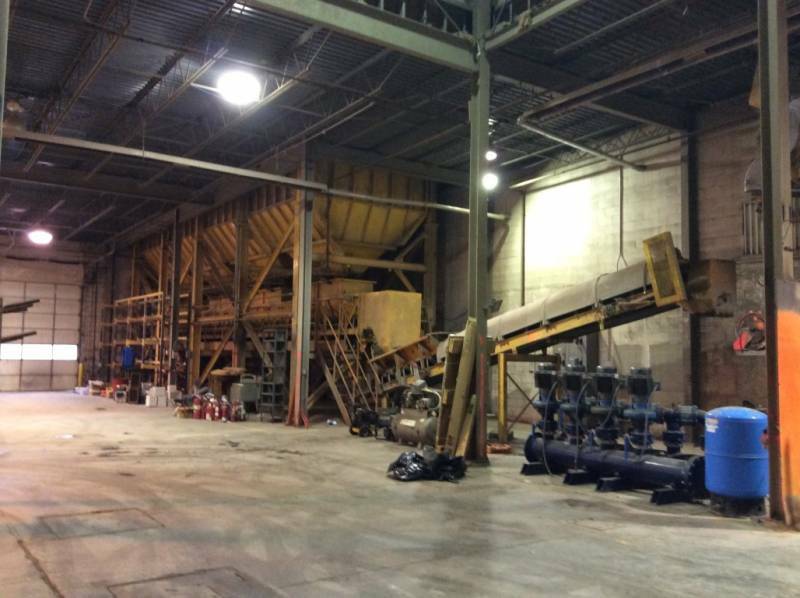 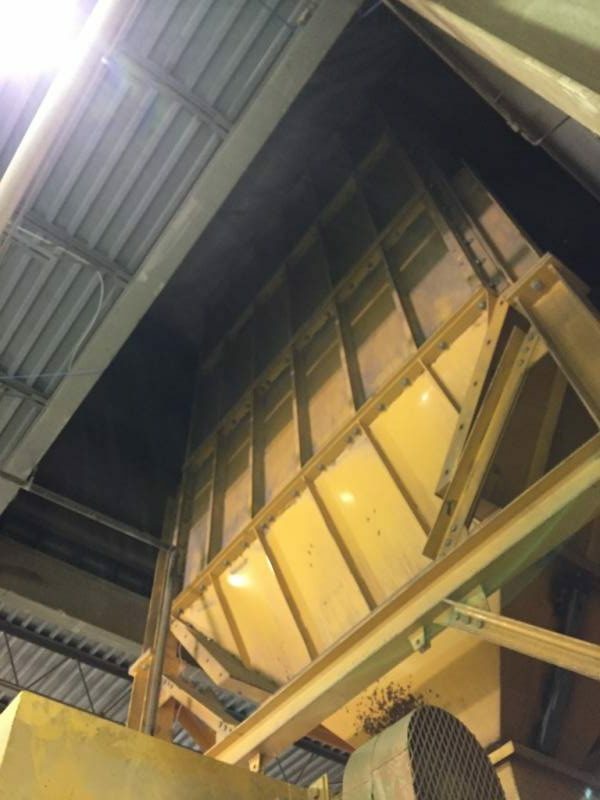 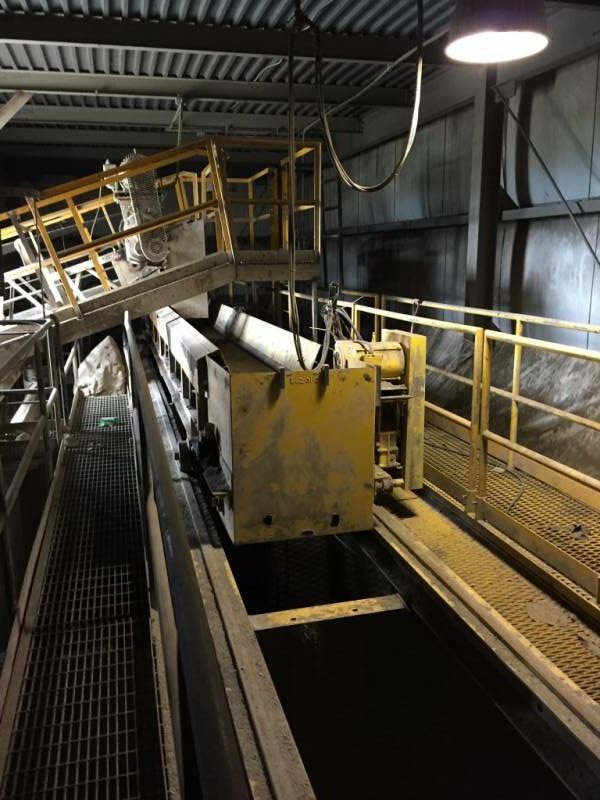 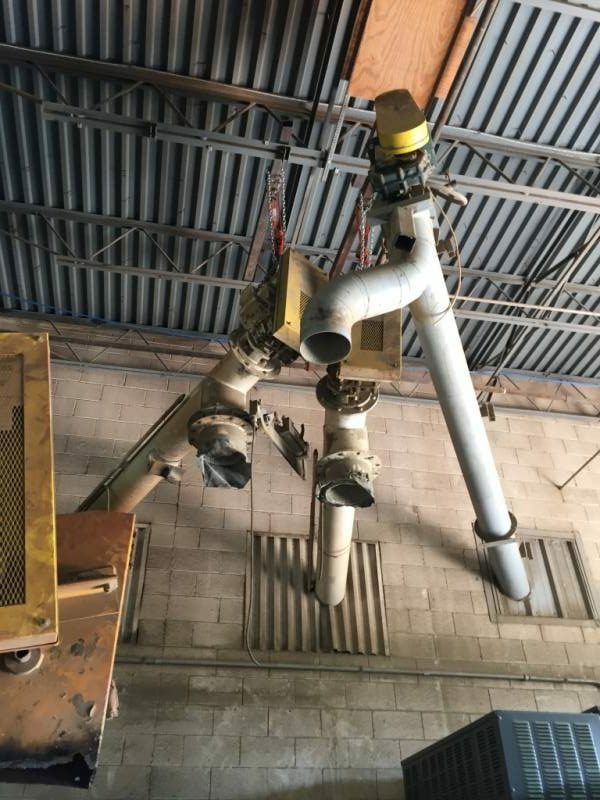 This system was designed and installed by the Besser Company for a block manufacturing facility. 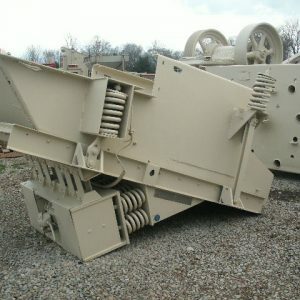 The purchaser will be responsible for disassembly and removal of all of the components. 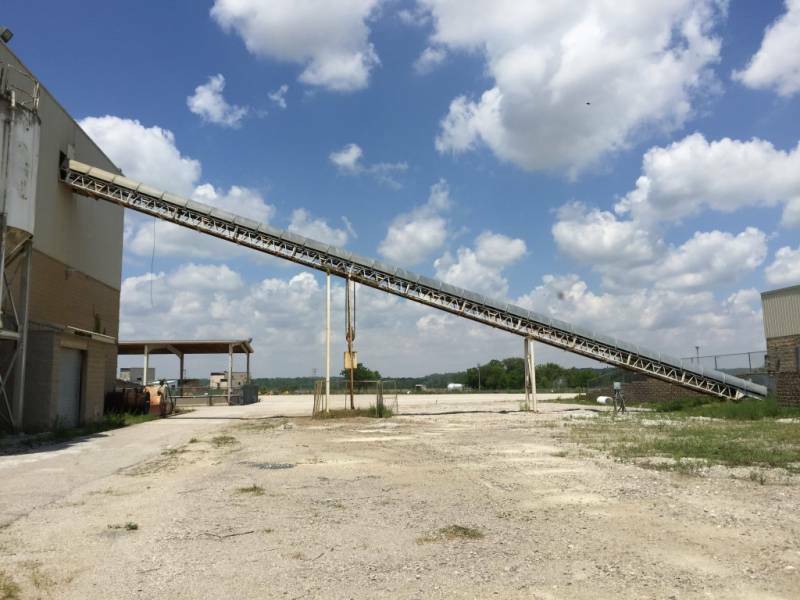 For additional information and pictures, contact Jeff Schenck (M/ 317-840-8904).